It’s important to learn a good rolling technique right from the start as it will benefit your paddling forever. With Liquid Logistics you’ll learn to roll in a clear swimming pool allowing you to see and have lots of practice under the expert guidance of your coach. 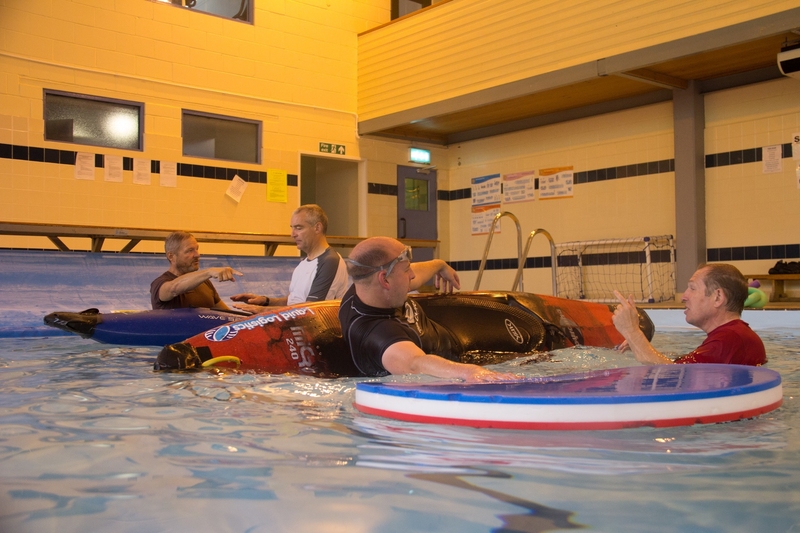 Kayak Rolling courses are 2 hours long and take place at a location near Romsey. If you are starting from scratch with us your first session will help identify the roll best suited to you and lay the foundations of great posture and body movement. We do recommend that you have some experience as there is a lot to take in for the complete beginner. If you can paddle and capsize confidently and comfortably on flat water this course will be great for you. You cannot bring your own boats due to the rules at the Pool.